New, continuing, and recent students may request address, phone and other contact information changes through the MYHSSU Student Portal. 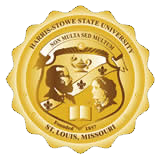 Former students without MYHSSU access may request changes through the Office of the Registrar. *Requests for changes to Hornets E-mail accounts will be rejected as accounts are created through IT Services. While the Hornet's e-mail is the primary contact, students may add alternate e-mail addresses. To submit contact information changes through the MYHSSU Student Portal, students should access the Personal Information link followed by the Biographical Information tab found in the My Info window. After viewing the current contact information on file with the University, students should select the pencil in the section to be updated to open the section for editing. Click here for instructions. Please be advised that a change in address may result in a change in state residency and rate of tuition. Students may not use the MYHSSU address change to apply for in-state residency, students must file the Change in Residency Request Form and provide required documentation to the Office of the Registrar. Please refer to the University Bulletin for state residency information or contact the Office of the Registrar. Requests for non-contact information changes require verification and cannot be accepted MYHSSU. Students may request name changes by filing the Name Change Request form and submitting required documentation of proof to the Office of the Registrar.